Home UK Visiting London? See a classic British show at the O2 Arena! Visiting London? See a classic British show at the O2 Arena! Monty Python was a British comical group that pushed the boundaries and explored different ways to make the general public laugh. Although they were originally formed in 1969, and went their separate ways in the 1970’s the comical group have proved they remain popular. With the news that the Pythons were making a reunion show, fans all over the world were excited. The moment that the dates were released for the show at the O2 arena a frenzy begun, and as the tickets went on sale, people could not buy them fast enough. Within a record 43.5 seconds, all of the tickets were sold, leaving a large amount of disappointed fans. The Pythons decided to release more dates, and these sold just as fast. If you were one of the fortunate people that managed to buy Monty Python tickets at the O2, you will be excited about the show and the possible theme throughout the reunion. Whether you were a fan during the original series, or have become one in recent years, this show is set to be exciting. Monty Python are world famous, and their distinct style of comedy is loved by many people. London is a fascinating city of many different contrasts, and you can experience a night or two away to combine with your time at the show. If you have travelled to London before, you will appreciate how busy the city is, and how planning is essential. If this is your first time in the city, you may find it overwhelming. Researching the location of the O2 Arena is vital, so you understand where the show will be held, and how far it is from your hotel. Although driving is an option, and there is parking available, you may want to stay over. Hotels range a vast amount in London, and your budget will determine where you choose. Public transport in the city is excellent, affordable, clean and convenient guaranteeing that you can reach the O2 arena without any hassle. As soon as the show finishes you can jump back on the tube or bus and head into the city. You may be surprised to see that many places will remain open, and be busy even late at night. 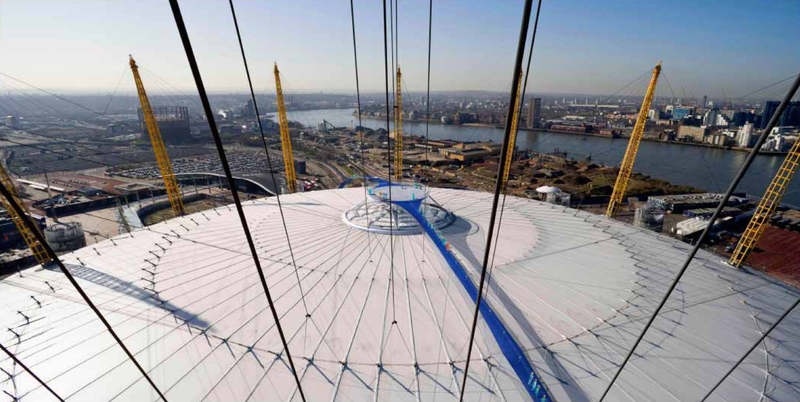 The O2 Arena was developed in 2007 from the old Millennium Dome, and underwent some radical works to ensure that it was a top venue. It can easily hold 20,000 people, which made it the second largest music venue in the country. There are different seating options, and areas for you to choose, guaranteeing that your visit is tailor made for you. The facilities in the arena are excellent, and provide a welcoming and comfortable environment to enjoy the show. After all these years of waiting for a Monty Python reunion show, you want to make sure that every element is perfect. Whether you travel up to London, enjoy the show, and return home or stay a little longer the whole experience will be excellent.